You’ve created a character and breathed life into them in the pages of a story, now you need to kill them off.and a heart attack seems the way to go. How do you make it realistic? What is it, how and why does it happen? What, if any, changes would you need to write into your character before during, or even after a heart attack. How and when would they die? Read on to find the answers to these questions and kill with conviction. 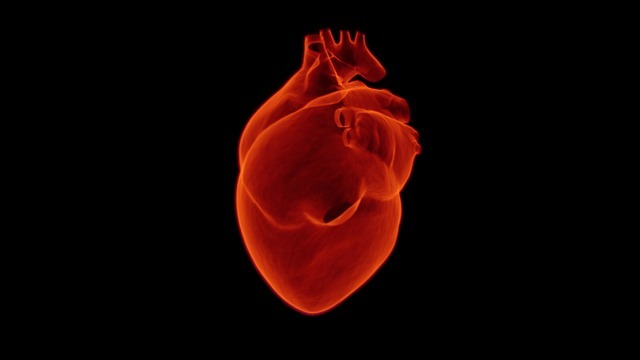 Heart attacks are a symptom of Coronary Heart Disease, which is basically damage to the heart. Not a straight forward complaint by any means, but by far amongst the most common causes of death. It’s a bit like the old saying, ‘it’s not the cough that carries you off, it’s the coffin they carry you off in’. A heart attack is the cough. Fact: A heart attack won’t kill you. The heart pumps oxygenated blood to the other vital organs of the body which need oxygrn to function. If the heart stops beating then the the other organs fail. Your character will go into a terminal shutdown. In basic terms Coronary Heart Disease is caused by fatty deposits (atheroma) blocking the arteries around the heart (coronary arteries). The arteries narrow ( atherosclerosis), slowing the flow of blood to the heart muscle and causing damage. The main cause of CHD is high cholesterol and is linked to high blood pressure (hypertension), smoking and Diabetes. It could be said that CHD is the scourge of the developed world. Your character is likely to be a diabetic, overweight, middle aged smoker, who loves a fry up, burger and chips, hates exercise and has high blood pressure. Before he gets anywhere near dying your character is going to suffer from pains in his chest (angina), not to be confused with indigestion (dyspepsia), heartburn or problematic gall stones, though he is likely to. Both gall stones and indigestion or heartburn can cause pain, but the pain originates from the stomach not the heart (admittedly the stomach is not a million miles from the heart and pain has a habit of radiating). Heartburn is caused by stomach acid going where it shouldn’t and it burns rather than squeezing or pressing. A person with gallstones may have stomach pain, but it will be one that won’t go away and will be accompanied by other symptoms. The poor guy is likely to be feverish, itchy, jaundiced and sitting on the toilet shivering with his heart going ten to the dozen and unaware how he got there. But he won’t be in imminent danger of dying. Angina on the other hand can’t be directly blamed on the burger and chips your character had for lunch. An angina attack is caused by the slowing of blood to the heart through those blocked arteries. The more serious heart attack is a slowing or stopping of the blood to the heart. One can easily be confused with the other. The time gap between an angina attack and heart attack can be hours, weeks or months. All those seemingly innocuous symptoms can be a ticking time bomb, and just to confuse matters a heart attack can be painless. Your character could self-diagnose a heart attack as the effects of a dodgy curry. 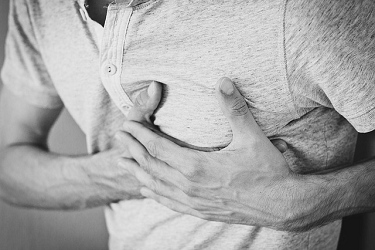 A heart attack won’t kill straight away, more commonly it damages the heart or causes part of it to die and leaves your poor character defenceless against imminent heart failure (when the heart stops pumping). It is possible for the damage to the heart to be repaired (coronary bypass, heart valve repair or replacement) or to correct a dyfunction (heart pumps or pacememkers). Ultimately the heart can be replaced. 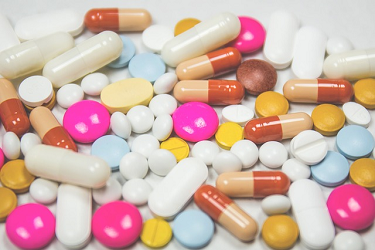 For the most the condition is treated with drugs and combinations of drugs to counter the effects of the initial drugs. ACE inhibitors widen the blood vessels. Beta Blockers slow the heart, reduce blood pressure and repair the heart. Diuretics stop water collecitng in the body. Inotropes improve heart pumping and Digitalis slows the heartbeat. Complimentary drugs include nitrates for chest pain, warfarin to thin the blood and statins to lower cholesterol. Despite all treatments, there’s no guarantee they will work. Your character may find themselves referred for Palliative Care to prepare for death. Not the same as a heart attack, a Cardiac Arrest is an electrical malfunction that causes the heart to stop beating (heart failure). The vital organs are starved of oxygen and death from multiple organ failure can be within minutes. The cause of a Cardiac Arrest can be as a result of a trauma (electric shock or drug overdose), stroke or a heart condition and can happen in the middle of a heart attack. In many cases there are no warning symptoms, the effects are sudden and fatal.